OCEANIS 323 sailing Clipper for sale in France. 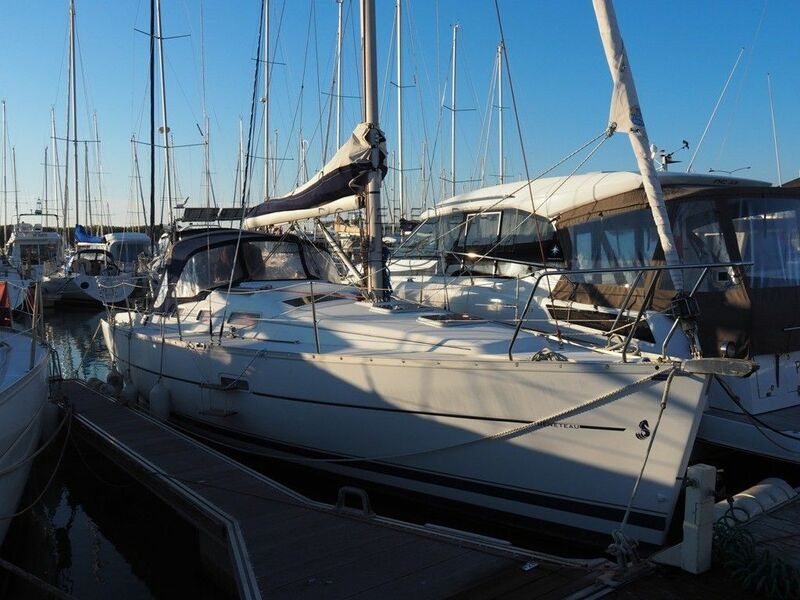 Boatshed Vendee is happy to offer this well maintained and well equipped sailboat in the Vendee, built in 2005 by Beneteau. For more information or organise a visit, please contact, Muriel Guyon, your local broker at Boatshed Vendee. This Beneteau Oceanis 323 Clipper has been personally photographed and viewed by Fabrice GUYON of Boatshed Vendee. Click here for contact details. Please note this comments section is public. Please do not post your personal details here. To enquire about purchasing this boat, please contact the broker directly at murielguyon@boatshedvendee.com. Please read our commenting guidelines before posting.